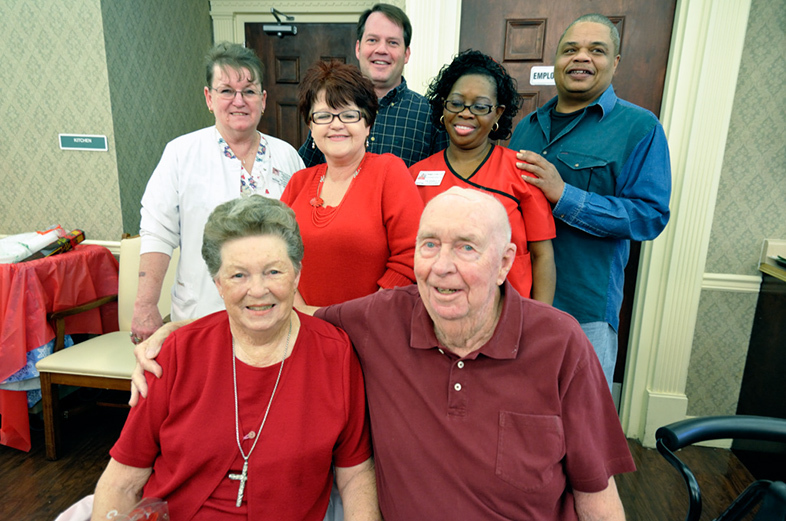 Every Holiday and Tradition is a Good Reason to Celebrate Life and Fun Times at The Plantation Pointe Retirement Community in Historic Columbus, Mississippi. Ken Phillips, Administrator of The Plantation Pointe Retirement Community Leads Nurses on Trip to Certified Nurse Assistant Expo | CLICK HERE For More CNA Trip Details and Images. Plantation Pointe Retirement Community Residents Living Life Well! Community Hospice Ran a Bingo Marathon at The Arrington Assisted Living Community at Plantation Pointe | CLICK HERE For More Images from the Community Hospice Bingo Marathon. Assisted Living Residents were Treated to a Lakeside Paviliion Barbeque by The Folfs at Community Hospice | CLICK HERE For Cookout Images. Authentic Hula Dancers Entertained Residents, Staff, and Guests during a 2015 National Nursing home Week Celebration at The Plantation Pointe Retirement Community located in Columbus, Mississippi | CLICK HERE For More Images from the Hula Dancer Presentation. The Plantation Pointe Doggie Core Dressed Up for Residents and Guests Sporting Their Finest Threads and Style | CLICK HERE For More Dressed Out Doggie Images. The 2011 Third-Annual Independence Day Fireworks Celebration on the Grounds of The Plantation Pointe Retirement Community in Historic Columbus, Mississippi, USA. Its Lake-Side Pavilion makes for the Perfect Backdrop for a Night of Great Patriotism. The Plantation Pointe Retirement Community is for seniors who enjoy life and want to live it well.